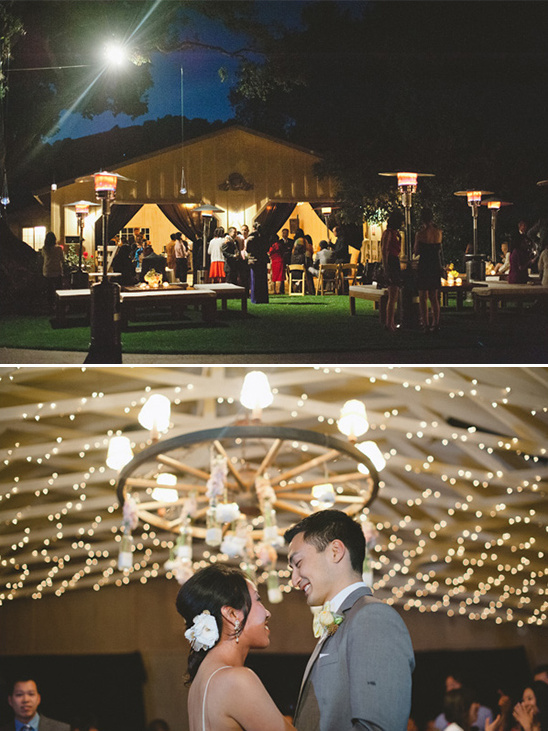 Yaxi and Kai met while attending UC Berkley and fell in love. 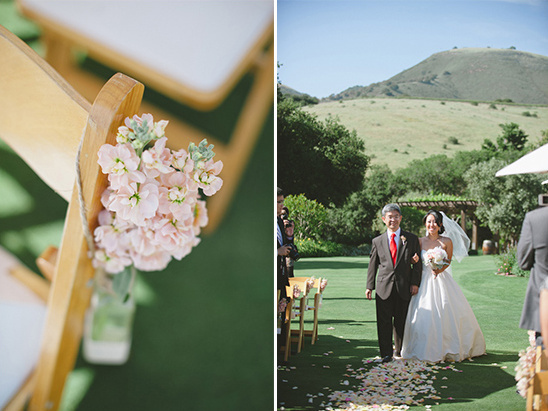 This darling couple had a darling wedding to go with. 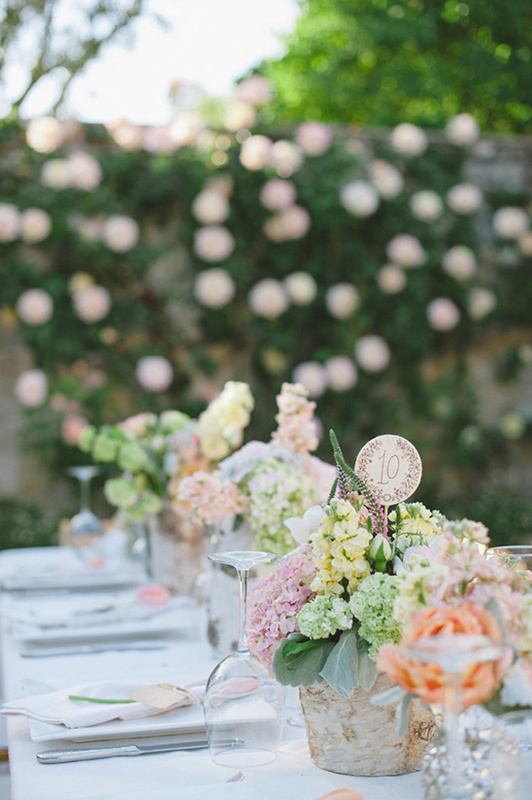 With friends, family and deep roots in the Bay Area, they knew that California was the perfect destination for their special day. 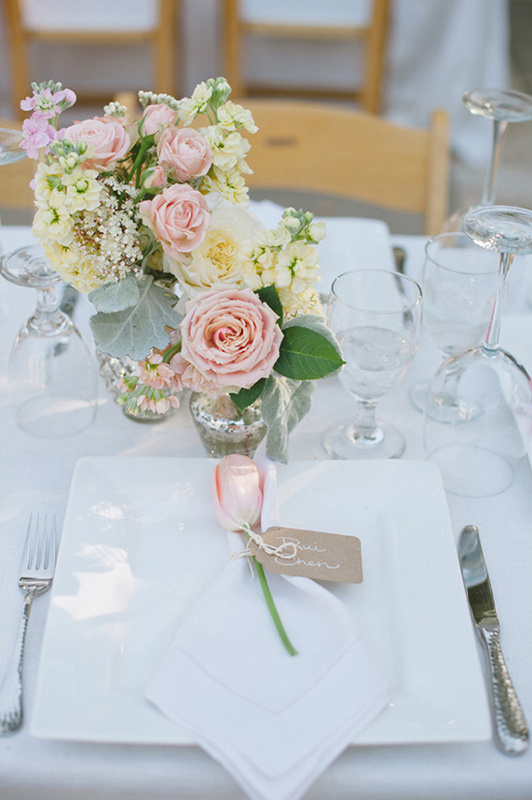 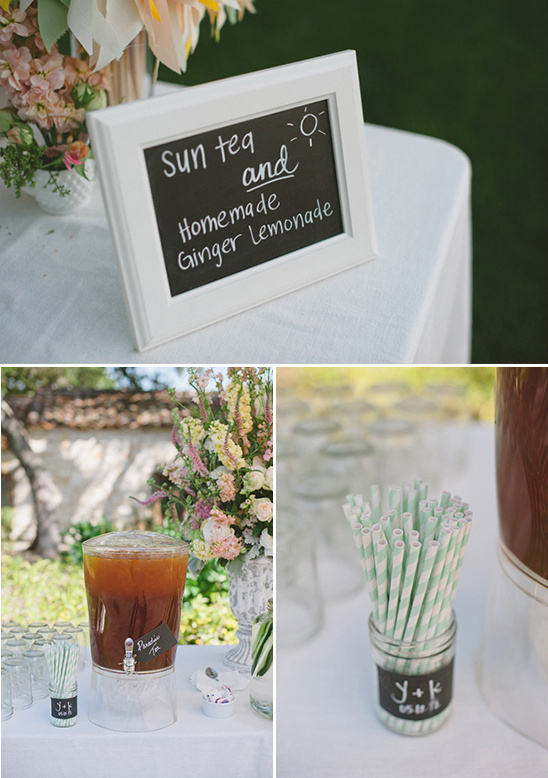 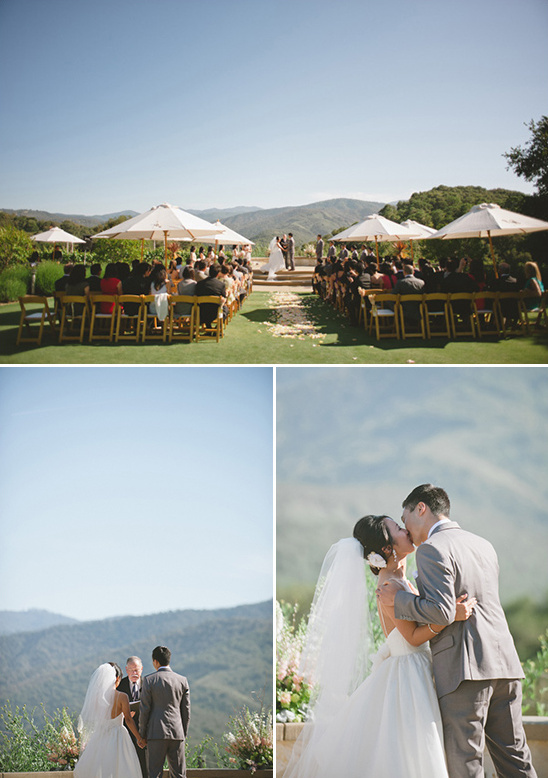 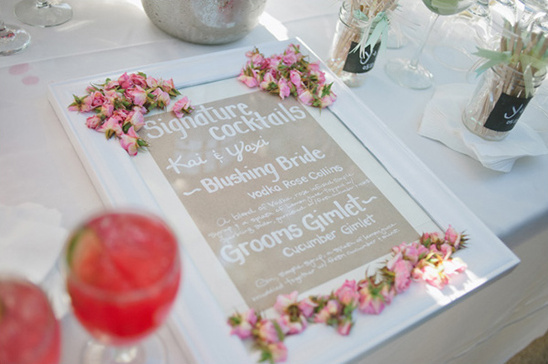 After touring several venues, the couple decided on the gorgeous Holman Ranch in Carmel Valley. 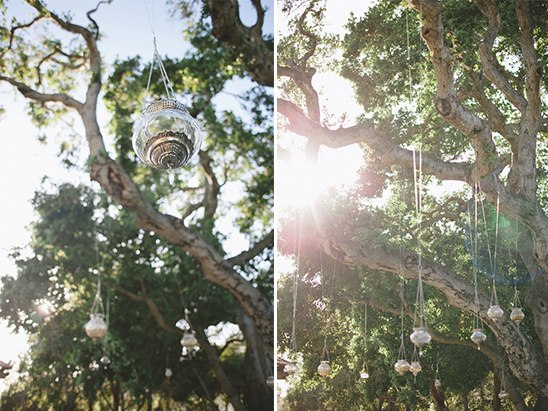 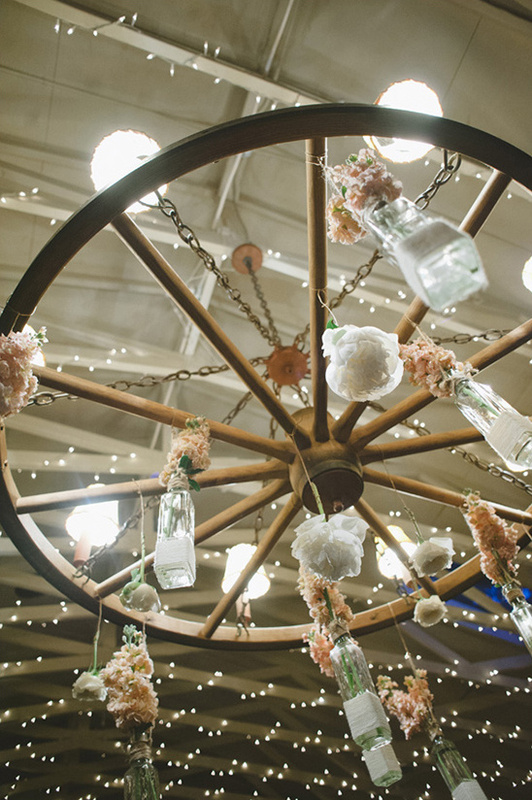 To see more of this enchanting wedding view the full gallery here. 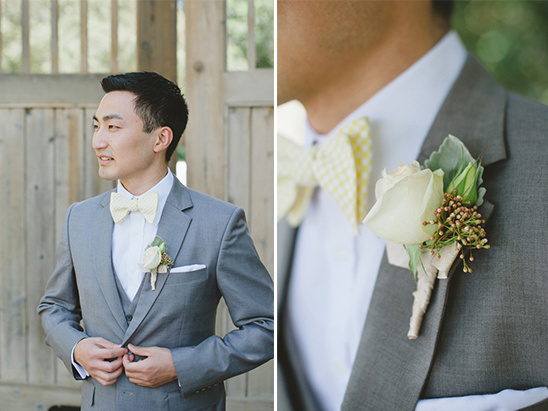 All photographed by Delbarr Moradi Photography. 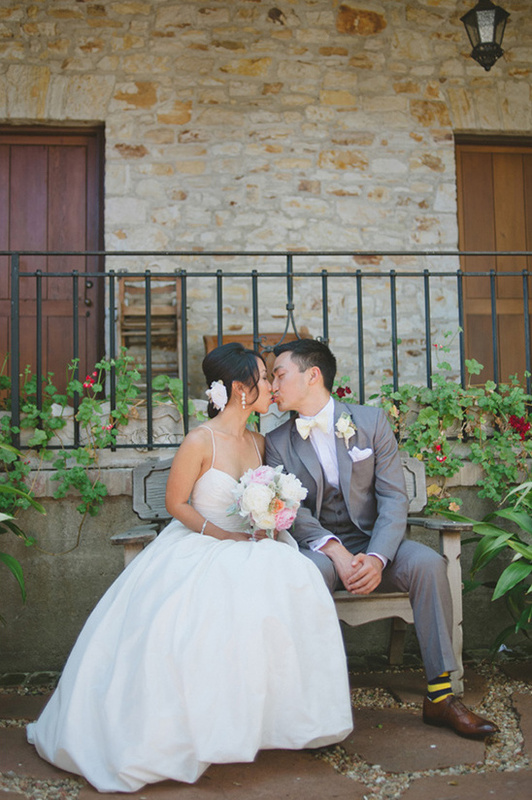 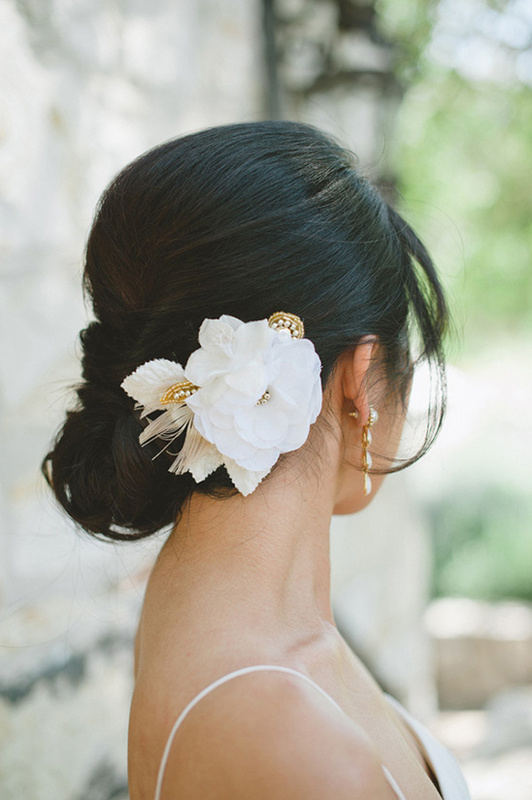 From the Designer & Coordinator:For Yaxi, she wanted her wedding to feel elegant, relaxed, seasonal and understated. 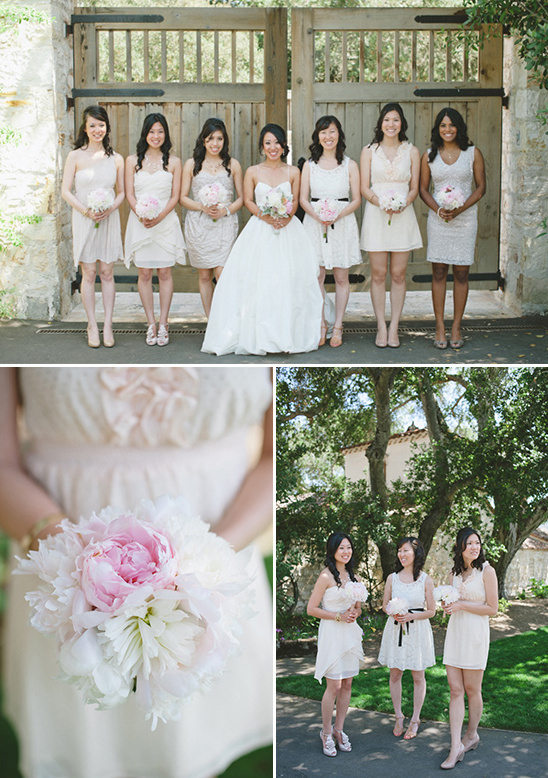 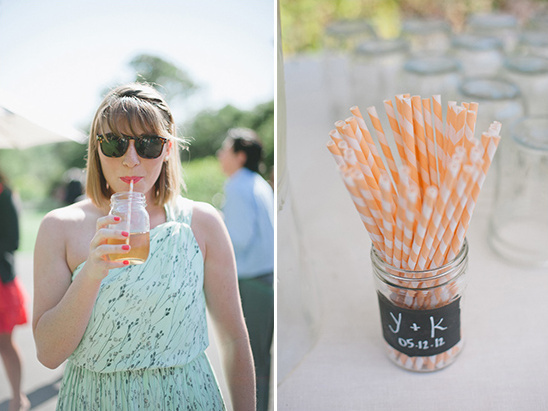 She loved neutral tones with pops of pastels and anything soft and feminine. 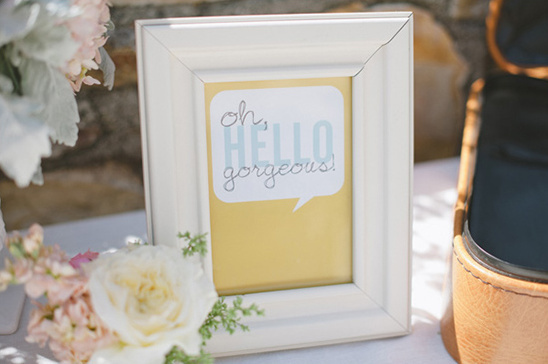 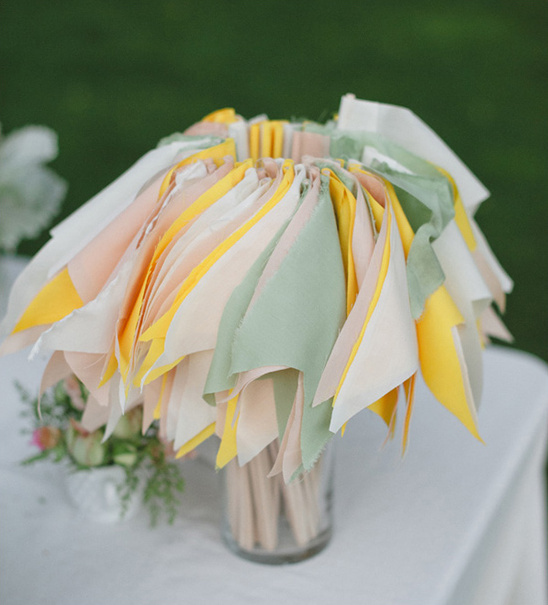 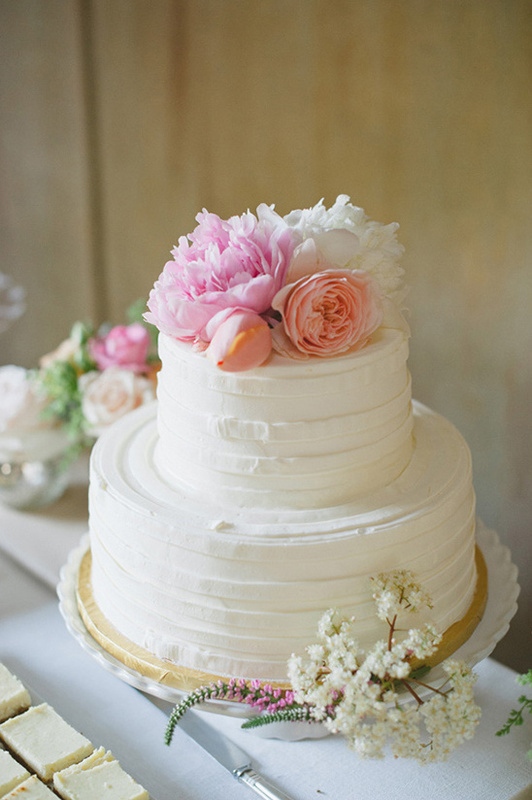 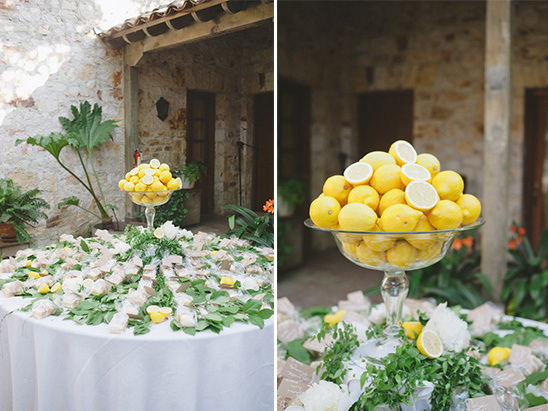 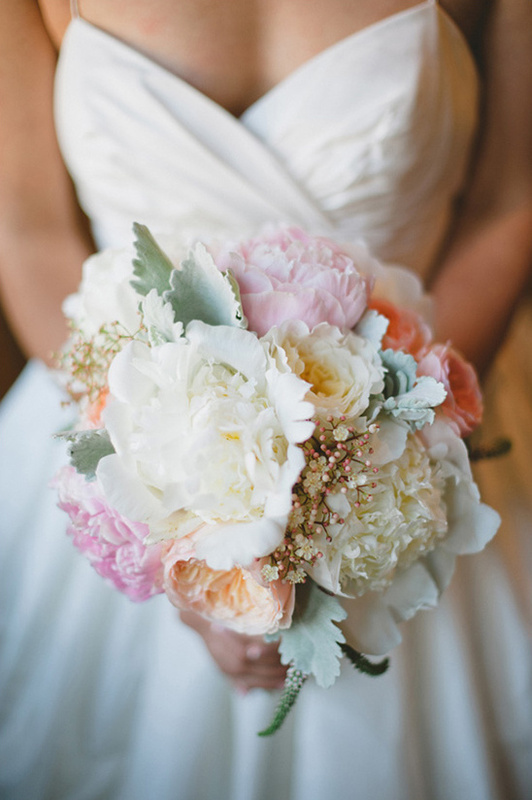 We decided on a color palette of ivory, blush, cantaloupe and lemon. 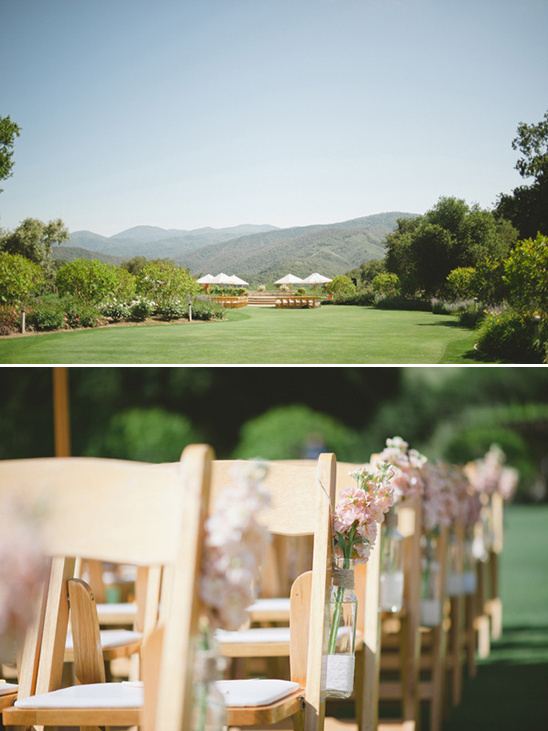 Yaxi had a very clear vision for her wedding - a warm summer day in California's wine country with a gorgeous view of the vineyards and rustic elegant touches. 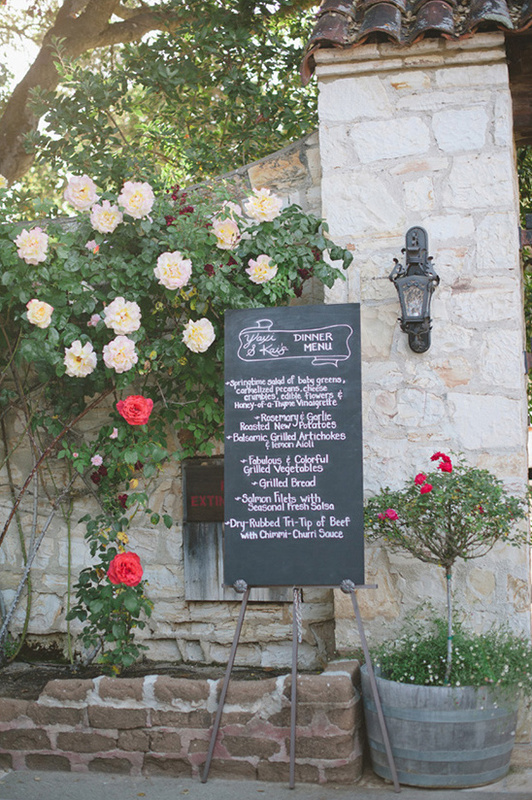 The amazing Holman Ranch in Carmel Valley had everything that she had envisioned, plus more. 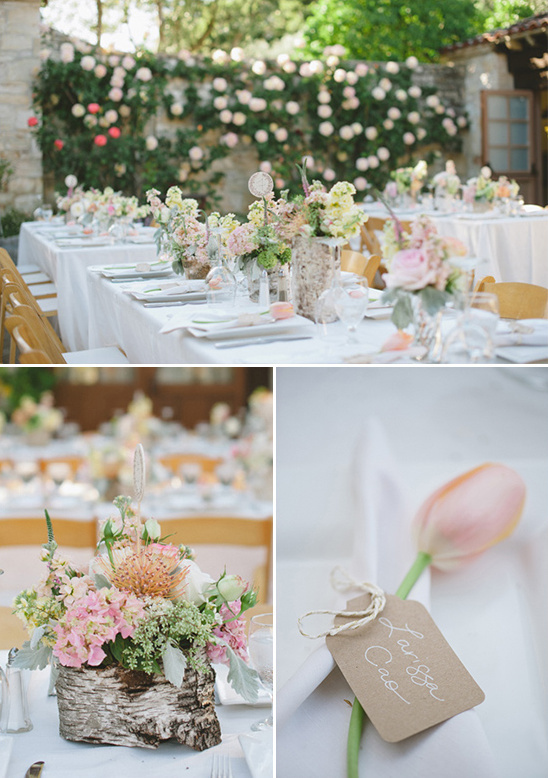 We really wanted everything to feel cheerful but clean, so we used the floral as the pop of color while everything else stayed very soft and neutral. 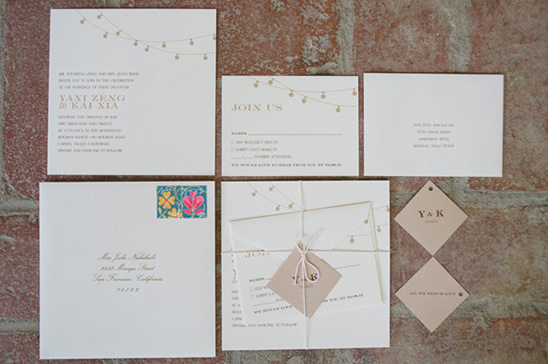 We selected linens in a beautiful eggshell color, used craft paper with whimsical script in white ink for her paper goods, and a mixture of milk glass, silvery metallic mercury glass and birch for her vessels. 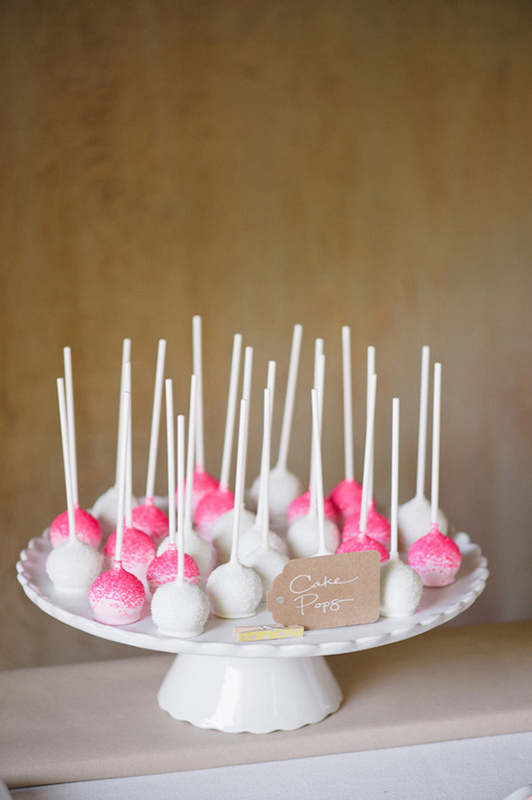 Since Kai's is such a dessert lover, we found it only necessary to do a custom dessert table of all his favorite goodies. 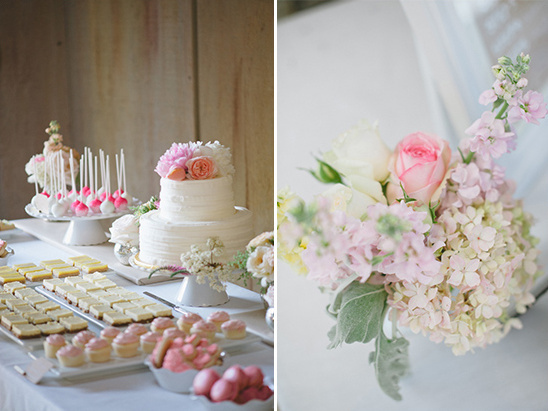 We created a large display of cupcakes, cookies, lemon and cheesecake bars, French Macaroons, chocolate cake pops centered around a delicious carrot cake covered in butter cream. 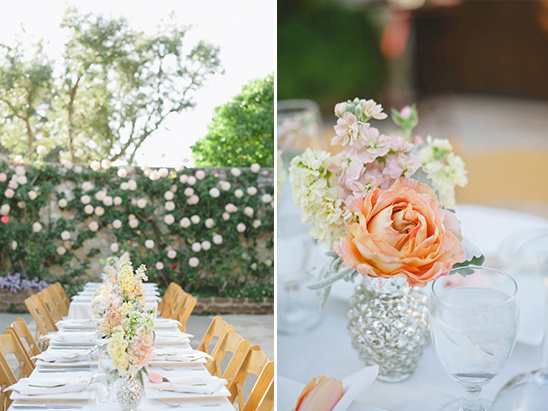 To keep in line with the rest of the event design, we used lots of white-ware platters and pedestals and made sure the confection and floral were bright in color.